Our latest introduction to the curtain wall market is a semi-automated standalone sealant application system. 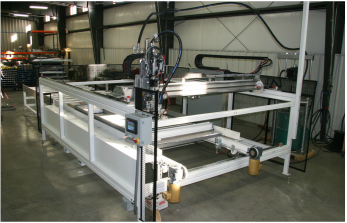 This semi-automated joy stick controlled machine applies the structural sealant or the cap bead. It works especially well for larger curtain wall and multi-light panels. This style machine gives the operator greater control of the sealant and they are able to view the application of the sealant with cameras and a monitor. 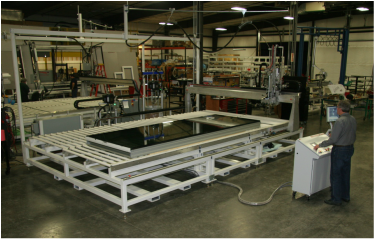 The Erdman® 5000 Series Fully Automated Glazer is an extremely accurate and reliable machine for your toughest production sealant applications.